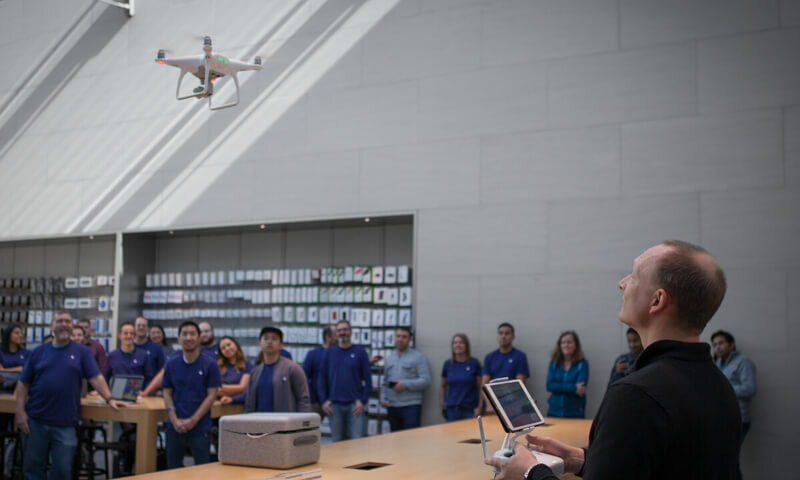 DJI, the world leader in aerial imaging, today announced that the DJI Phantom 4, the latest, most advanced version of its flagship consumer quadcopter camera series, will be available at a dedicated section of the Apple Store starting on March 15. By launching the DJI Phantom 4 at over 400 Apple Stores, the selection of Apple as its first exclusive retail launch partner was driven by the desire to give customers around the world first access to the look and feel of the most advanced aerial imaging technology, according to DJI company representatives. Pre-orders are already available online for the DJI Phantom 4 on Apple.com and DJI.com, with first shipments expected to arrive on March 15 - the same day customers can experience and purchase the product at Apple Retail Stores around the globe and DJI’s flagship stores.